Welcome to Preuveneers, a well-established law firm based in Croydon and Tooting, offering an extensive range of legal services across South London. Having opened in 1978, we have a commitment to client care and aim to help you find solutions to some of the most complex legal matters. Our team of experienced staff are handpicked for their expertise, ensuring that we deliver the highest level of customer service at all times. We are proud to be a local high street firm, operating as solicitors in Croydon, Tooting, Mitcham and across South London and offering a professional, friendly and personable service. At Preuveneers, we are passionate about providing results. Our expertise spans across a wide range of legal matters including property, children matters, shared ownership, wills & probate and many more. We also offer a selection of legal services for businesses, tailored specifically to your requirements, as well as a Notary service based in our office. We understand that visiting solicitors in Tooting and across South London can be a daunting experience, but we want to change that. We aim to make the entire process as stress-free as possible for each of our clients and will always aim to be responsive with every client. Turn to the experts at Preuveneers today. As a trusted and experienced legal firm based in Croydon and Tooting, we believe in offering a prompt and proactive service at all times, which is not only bespoke to your requirements, but also secures a positive outcome. As well-established solicitors in Tooting, Croydon and Mitcham, we aim to ensure that our legal expertise is tailored to match your requirements. 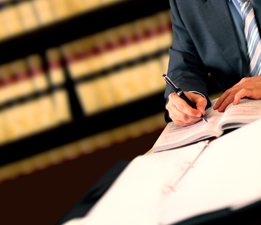 Preuveneers is widely regarded as a top tier legal firm and solicitors in Croydon, specialising in both personal and business law. Our unique expertise allows us to meet your requirements and offer in-depth, expert advice at all times. Although we are based in South London, we are able to assist clients in a number of ways, irrespective of their location.As leading solicitors in Croydon, we are LEXCEL accredited, meaning we are able to offer the highest management and customer care standards. We believe in offering a fresh attitude and efficient approach to all of our legal work, to ensure that all client concerns are resolved as quickly and thoroughly as possible. We believe in offering high quality customer service and move away from impersonal call centres. You can enjoy having the leading experts available to answer your every question when you turn to Preuveneers, one of the most trusted and experienced solicitors in Tooting. The expert team at Preuveneers can offer well-balanced and sensible advice, coupled with a personable experience for each of our clients. We truly care about our clients but will never detract from the necessary formalities which are required in our industry. We are fair, honest and entirely transparent, but aim to achieve a positive outcome for each and every client. Do you have a question about our services? Get in touch with a member of our team today. We know that our clients have busy lives and do not all work a 9-5 for your ease we offer 24/7 case tracking to follow your matter.